For the Salad: Cook the quinoa per the package instructions and cool. Set aside. 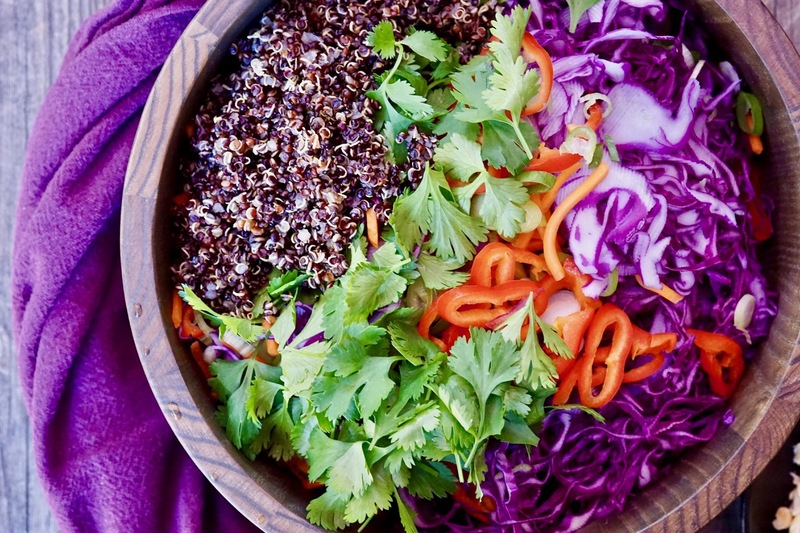 In a large mixing bowl add the cabbage, carrots, scallions, red peppers and cilantro leaves. Using your hands, lightly toss and set aside. For the Peanut Dressing: In a small mixing bowl add the peanut butter, Tamari, rice vinegar, sesame oil, lime juice, chili sauce and water. Whisk the dressing until well incorporated. To serve, mix in the cooled, cooked quinoa with the vegetable mixture the and chopped peanuts. Drizzle with the peanut dressing and gently toss to incorporate. Serve immediately. 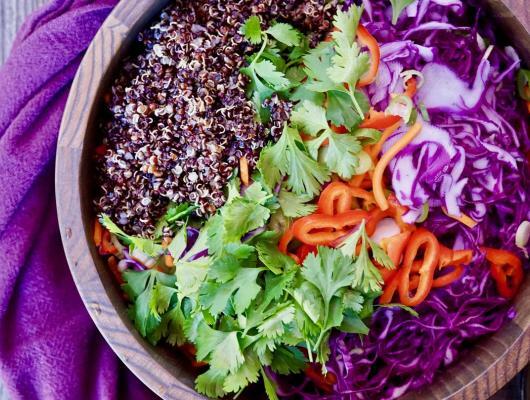 A gluten-free, vegan friendly, quinoa vegetable slaw with peanut dressing that goes with just about everything.